Jewish National Fund of Edmonton (JNF) invites you to help support the expansion of Airplane Park in Kiryat Shmona, Israel’s northernmost city. Right in the heart of the Galilee Panhandle, and the Hula Valley, the Airplane Park project is an example of what JNF does best, creating fantastic green spaces to support and enhance the quality of life for the residents of Kiryat Shmona and surrounding communities. This new park spreads across 19 acres, providing bicycle and walking trails, seating and picnic areas along the Nahal Ayun streambed that leads to various wading pools. Kiryat Shmona lacks the resources to develop beautiful amenities like Airplane Park. Given the significant child poverty rate in the area, this special needs accessible park will provide much needed recreational space for underprivileged youth and families. With your generosity, we will further develop this important park and make it a source of enjoyment for all. HELP US BUILD THE FOUNDATION FOR ISRAEL’S FUTURE! Lewis practiced law in Selkirk, Manitoba and was honoured as a life bencher of the Law Society of Manitoba. He was founding president of Selkirk & District Community Foundation and president of several other Selkirk organizations. 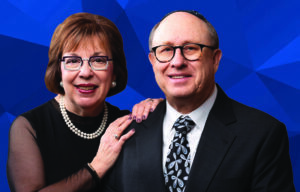 He was a board member for several Winnipeg Jewish organizations, including the Board of Jewish Education and Camp Massad. Since moving to Edmonton in 2000, he has been an active community volunteer. Lewis is currently Gabbai of Beth Israel Synagogue, president of Jewish Seniors Drop-In Centre, and a past president of Jewish Family Service. Freya taugh high school physics in Winnipeg. As an extra-curricular assignment, she led her students on educational tours and together they traveled to every continent except Antarctica. 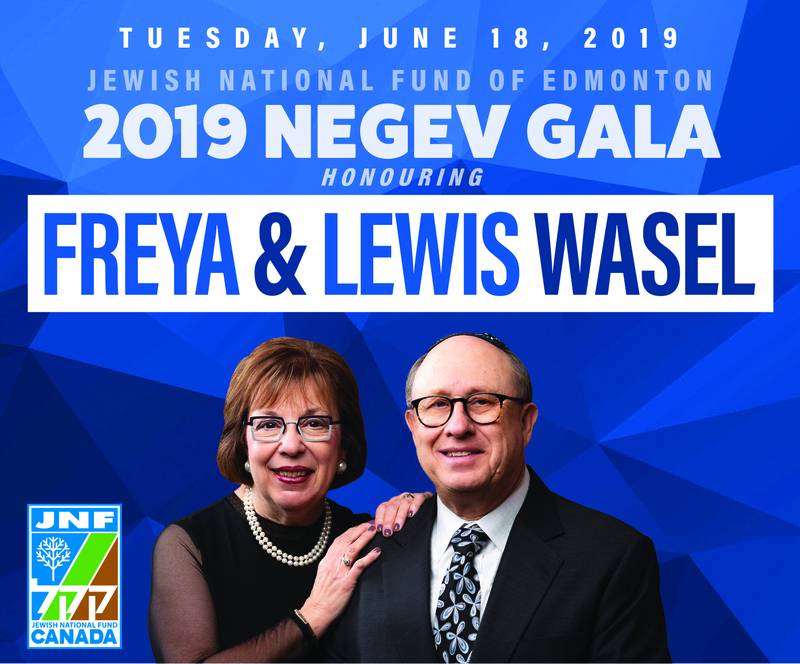 In Edmonton, Freya has been president of Ami Chai chapter, Hadassah WIZO; national secretary, National Council of Jewish Women; programming chair, Beth Israel Synogogue; and volunteer at the Cross Cancer Institute. Freya chaired the Beth Israel committee that created the “100 Years of Memories” historical display on permanent exhibit in the synogogue’s foyer.